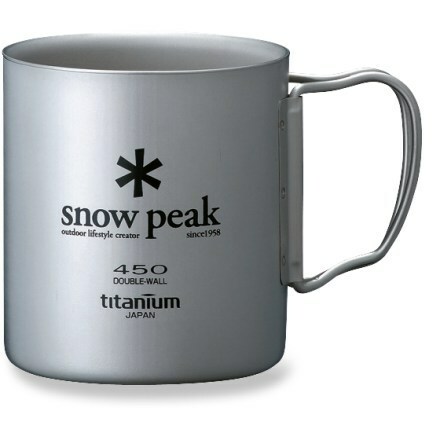 Visit Snow Peak's Titanium Double Wall 300 Cup page. 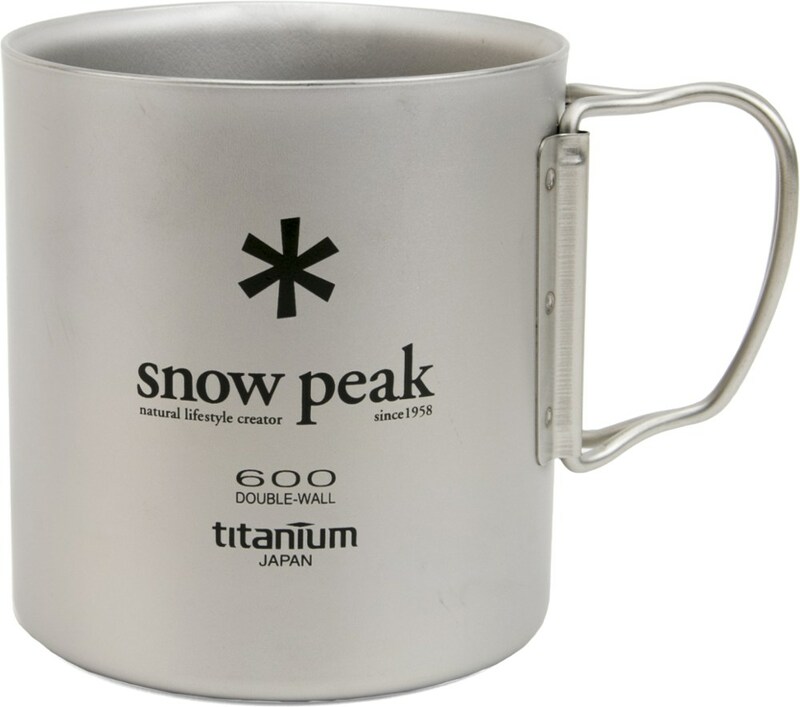 The Gold Standard of camping mugs, the Snow Peak Double Wall, insulated titanium mug will keep your coffee or tea warm nearly all day and is built to withstand any adventure without adding ounces to your pack. 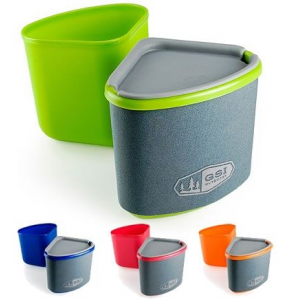 Folding handles make the mug easily packable. 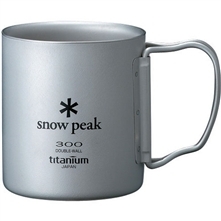 The Snow Peak Double Wall Mug 300 is great for that warm cup of cocoa or soup. Double wall construction allows for hot stuff inside the mug while your hands warm on the outside. 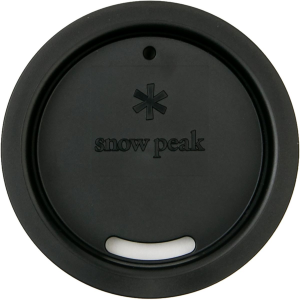 Great for backpacking, camping, and hiking. 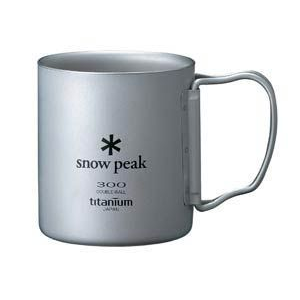 The Snow Peak Double Wall Mug 300 holds 10.6 full oz.